The City of Northlake was developed in an area along Addison Creek. Incorporated July 19, 1949, Northlake had a population of 3,000. 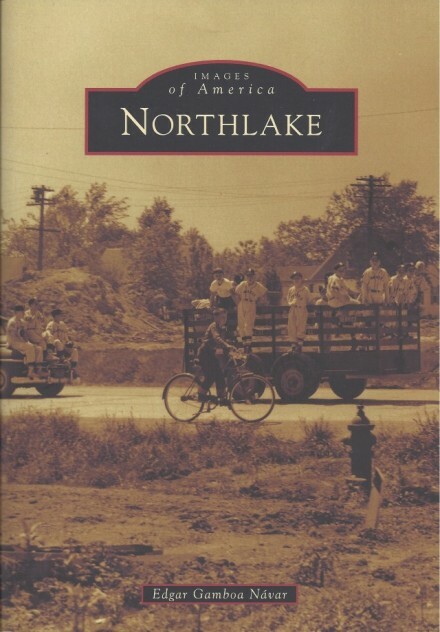 The name “Northlake” came from the City’s main thoroughfares, North Avenue and Lake Street, which converge at a 45 degree angle at the western edge of the City. The most recent census count (year 2010) is 12,375. In 1950, the first city code was announced. It prohibited residents from keeping chickens within the City limits. During this era the soggy farmland was beginning to develop and grow within the boom of the post-World War II economy. A city government was established, more boundaries were created, and the first city code was announced. Eldon Hayes was elected the first Mayor in 1949. Sanitary sewers were installed, a three-million gallon water reservoir was erected, and High School District 212 built the West Leyden High School campus on Wolf Road in 1958. Northlake children no longer had to commute to Franklin Park to attend high school. Industries such as Scholle Chemical and Automatic Electric bought land on the City’s western perimeter. Automatic Electric sat on a portion of the old Westward Ho Golf Course, located on what is now Westward Ho Drive and Golfview Drive. The golf course was one of the country’s premier spots for golf. It ceased operation in 1957. Another portion of the golf course was sold to Villa Scalabrini Home for the Aged. The facility is actually situated on what was the fourth hole. Ed Neri was elected Mayor in 1957 and held office until 1968. During the sixties many projects were completed including: the construction of City Hall; sand and gravel streets were paved with blacktop; installation of curbs and storm sewers on Roberta and Palmer Avenues; the construction of many concrete bridges which replaced wooden bridges over Addison Creek; the original portion of the Northlake Library District building on Wolf Road; the Northlake Bank (now US Bank); the Dominick’s facility on Northwest Avenue (originally Kroger Foods); the Burny Brothers Bakery on North Avenue; the Northlake Hospital (now Kindred Hospital); St. John Vianney Catholic Church; the King Arthur Complex; and finally a 16 story motor hotel, located on Lake Street, a block east of Elmhurst city limits, the O’Hare Airport Hotel (now Concord Plaza) was described as a first rate hotel, and the tallest building in the western suburbs. Alderman John Lawrisuk was appointed to fill the unexpired term of Neri. A special election was held and Eugene Doyle was elected Mayor, from 1968 until 1989. A lighter memory affecting the lives of residents and law enforcement in the 1960’s was the visit of “Kay”. Kay was a 20 year old elephant, who had made her get away from the Keely and Miller Bros. Circus, which was performing in Franklin Park. A loud, low-flying airplane traveling from O’Hare Airport had apparently startled Kay and another elephant named Barbara. While Barbara traveled northwest, Kay headed for Northlake. The 6,500 pound mammal trampled flower beds, squashed vegetable patches, walked through fencing and surprised shocked residents of all ages before she was caught. Kay has a monument in Taylorville, Illinois. In the 1970’s and 1980’s the current Northlake Police Station was added to the Northlake City Hall. Also during these years, infrastructure improvements included the widening and paving of several streets, curbs, and gutter installation, landscaping and the much needed water retention basin, which was named the Doyle Retention Basin after former Mayor Eugene Doyle. This helped to alleviate the flooding problem that occurred after heavy rain. During the 1990’s Northlake saw more renovation, construction and beautification efforts under the leadership of Reid Paxson, who was Mayor from 1989 to 1997. The demolition of the Town and Country Bowling Alley in 1991 made way for the Northlake Common Shopping Plaza consisting of Sam’s Club, Wal-Mart, Home Depot, and Service Merchandise. This construction was part of a tax increment financing district (TIF). The Library District expanded from its original 5,800 square feet to 19,600 square feet. A 911 emergency service was activated. A vote for home-rule and the Mayor’s position became full time, ending the tradition of a City Manager form of government. Jeffrey T. Sherwin, the present Mayor, was voted into office in 1997. The first order of business was to get the City’s financial health in order. This was accomplished by implementing standard accounting procedures and safe guards as well as placing all City funds into interest bearing accounts (which had not been done by previous administrations). A campaign promise to upgrade the Police Department was fulfilled in 1998 when Dennis Koletsos was appointed the new Police Chief. He has been responsible for making the necessary upgrades to the department from personnel to state-of-the-art equipment. Within the past ten years we have seen the City grow and progress. An agreement with Melrose Park and six other communities brought Chicago water to Northlake by constructing a new water line from the City of Chicago. This project, one of the largest Public Works projects in the western suburbs, has insured that Northlake will have a safe, reliable source of water for years to come. Other infrastructure projects include the construction of a new lift station and storm sewer line for the King Arthur Complex; a new lift station and storm sewer was also constructed on Diversey Avenue to alleviate flooding after rainfalls; repaving of streets (in particular Roy and Roberta which also included installation of permanent street lights); new sidewalk construction as well as replacement sidewalks in different areas of the City; replacement of outdated fire hydrants throughout the City; upgrading of water mains and valves; reconfiguration of the north side of the frontage road of North Avenue to increase parking; beautification/tree planting program; development of new parks and open spaces as well as a bike path/walking path through Centerpoint Preserve. Something the Mayor envisioned as a high school teenager. This time period has brought about new construction: namely a new Community Center; a new field house/exercise facility at Grant Park; a new state-of-the-art elementary school (Whittier School); a large two-story addition to the Northlake Public Library; a 72-unit subsidized Senior Citizen housing building known as Donald Kent building located on South Wolf Road; a 60-unit condominium building known as Wolf Ridge Condominium, located on the corner of Wolf Road and Wiltse Avenue. Northlake is home to many new industries and warehouse enterprises such as Delta Unibus & Corona Beer, to name a few. Today, and in the future, improvements to infrastructure will continue with the replacement of water mains, replacement of several water valves and continued replacement and fill-in of sidewalks, where needed. All of these accomplishments would not be possible without the dedication of the City Council, which is equally dedicated to improving the community.